Sony making a quick fix, meanwhile don't change your PSN pass! It seems there is a problem with Sony's Trophy system for the PS3. CVG reports that there has been an "unexplained error related to PS3 Trophy synchronization" that is (rather alarmingly) breaking a number of PS3 games. The error first hit following the release of firmware version 2.50, and seems to have been triggered when users change their PSN ID or password, which had the effect of corrupting their Trophy data. 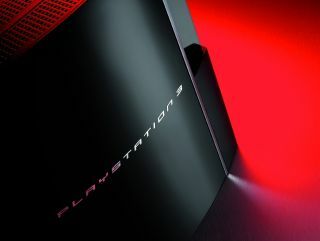 The latest PS3 Firmware update 2.53 has still not fixed the problem, which some gamers have been experiencing since October. CVG adds that some PS3 games bring up "an error that notifies the user of a failure to sync Trophy data. In the worst of cases, the game forces the player to quit and "try again", only to repeat the same message." Games such as WipEout HD, Burnout Paradise, LittleBigPlanet and Pain are all currently affected by the fault. A Sony community man with the online alias 'MusterBuster' said: "A fix is on the way, but I don't have an ETA yet". TechRadar expects to hear more on this from Sony shortly, as this is the kind of niggly fault that could really spoil our Christmas. · Delete your Game Data (that's the install files for a game, NOT the Save Data). · Use the Backup option in the PS3's XMB to create a full backup of your hard drive. · Restore your PS3 from the backup. · Your trophies will all be gone but don't panic - that data will be stored on Sony's servers. Just reinstall the game, install the Trophy data and the sync should work fine. Maybe.